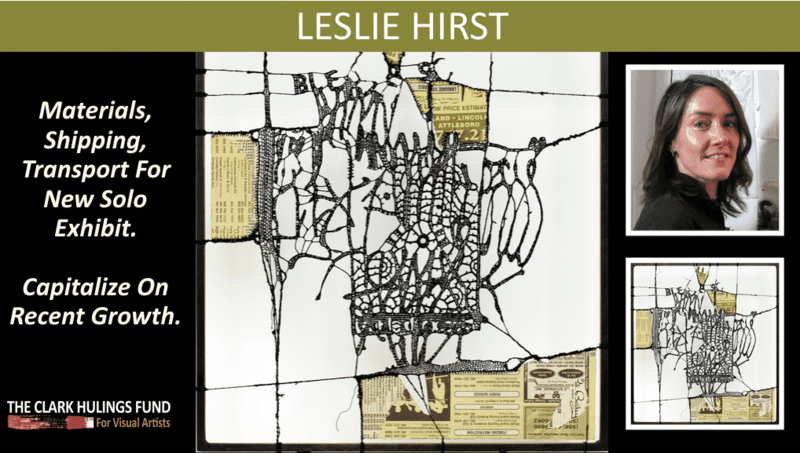 In her more than 30 years of creating art, Leslie Hirst has employed a variety of media including drawing, painting, and printmaking. While her upcoming solo show at Lachaise Gallery at Cedar Crest College (Spring 2016) will be an extension of a previous exhibition entitled “Message Threads” (presented during the 2015 International Venice Biennale), it will also feature new pieces. The fund is supporting a site-specific installation using webs of lace that resemble word forms. Designed to suggest the path of nerve stimuli through the brain, the work will also question the materiality of language.